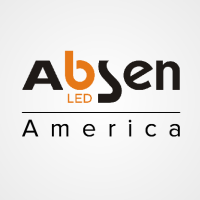 Absen Inc., headquartered in Orlando, FL, is the US subsidiary of Absen, a leading LED display manufacturer. With hundreds of rental/staging and integration partners across the USA, Absen has quickly become the LED manufacturer of choice for a variety of prestigious projects. Highlights include sporting venues for the NBA, MLS, and NBC; casino installations for MGM Grand and Caesars Palace; premier events including Golden Globes and the Emmys.